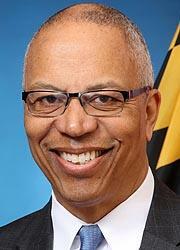 Today, another in our series of Conversations with the Candidates: the Lieutenant Governor of Maryland, Boyd Rutherford, joins Tom in Studio A. In a Gonzales poll released this morning (08/14), Republican Governor Larry Hogan -- with whom Mr. Rutherford is running for re-election on November 6th -- enjoys a 16 point lead over Democrat Ben Jealous. If he sustains that lead through November, he’ll be the first Republican Governor to serve a second term since Theodore McKeldin in the 1950s. Boyd Rutherford has chaired a task force on Opioid Abuse, worked on Public-Private partnerships, and regulatory reform, among other issues. What has the Lt. Governor accomplished in those areas? And will he continue focusing there, or shift his priorities to other issues, if he and Mr. Hogan are re-elected? Boyd Rutherford is Tom's guest for the hour; the conversation is joined in the final segment by the Baltimore Sun’s politics reporter, Luke Broadwater. We're live-streaming today's discussion on WYPR's Facebook page.